At the 4th Annual Brand Africa 100: Africa's Best Brands, which took place at the Sandton Convention Centre on 22 October, the top brands in Africa were announced. MTN were the big winners of the night with the Grand Prix for Africa's Best Brand, as well as being the Most Admired Brand in Africa, while Apple was named the valuable brand. 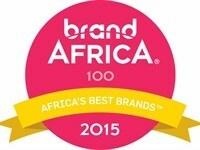 Non-African brands took 77% of the Top 100 brands. While African brands have remained relatively stable at 24%, 25% and 23% in 2013, 2014 and 2015 respectively, the number of non-African countries of origin has steadily diversified from 17 in 2013 to 19 in 2014 to 21 in 2015. Nigeria has over taken South Africa as the leading African nation. The Top 10 countries with the most number of brands on the Top 100 Most Admired Brands are the United States (21%), Nigeria (11%), UK ( 9%), Japan at 8%, France (6%), Netherlands (5%), Germany (4%), Italy (4%), South Africa (4%) and Kenya (4%). ( ) Represents percentage change in brand value between 2014 and 2015. The most admired regional brands are Coca-cola (East Africa), Adidas (West Africa), Nike (North Africa), Samsung (Central Africa), Nike (Southern Africa). "These rankings are increasingly significant as they are an important metric of the progress Africa is making in creating brands and services that respond to African conditions, needs and ambitions," says Thebe Ikalafeng, Founder and Chairman of Brand Africa and Chairman of Brand Finance Africa. "Simultaneously, they are a reflection and celebration of both non-African and African brands that meet the African consumer standard." Geopoll used their mobile SMS technology to identify the most admired local and non-local brands in Africa among a representative sample of African countries' consumers in 22 Africans countries which collectively account for 77% of Africa's GDP and 77% of Africa's population, covering the five political regions and all 8 regional economic zones. 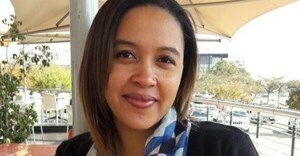 TNS analysed the data to create a weighted consumer admiration score that reduced the 9,545 unique brands mentions to the Top 100 Most Admired Brands in Africa. Brand Finance used the royalty relief methodology which is compliant with International Valuation Standards Authority as a basis for determining the fair market value of brands to establish the Top 100 Most Valuable Brands.